This is walk number 9 along the Thames river please goto our Thames webpage to view the other walks. Please click this link to view page. Its a shame we never had a good look around the Historic Market Town however we had a lot of Miles to do. Henley-on-Thames /ˈhɛnliː ɒn ˈtɛmz/ is a historic market town and civil parish on the River Thames in Oxfordshire, England, 9 miles (14 km) northeast of Reading, 7 miles (11 km) west of Maidenhead and 23 miles (37 km) southeast of Oxford. One of its boundaries has the tripoint of Oxfordshire, Berkshire and Buckinghamshire. The 2011 Census recorded the parish population as 11,619. As you make your way along the Thames you will soon past the Folly on Temple Island. Temple Island is an island in the River Thames in England just north (downstream) of Henley-on-Thames, Oxfordshire. 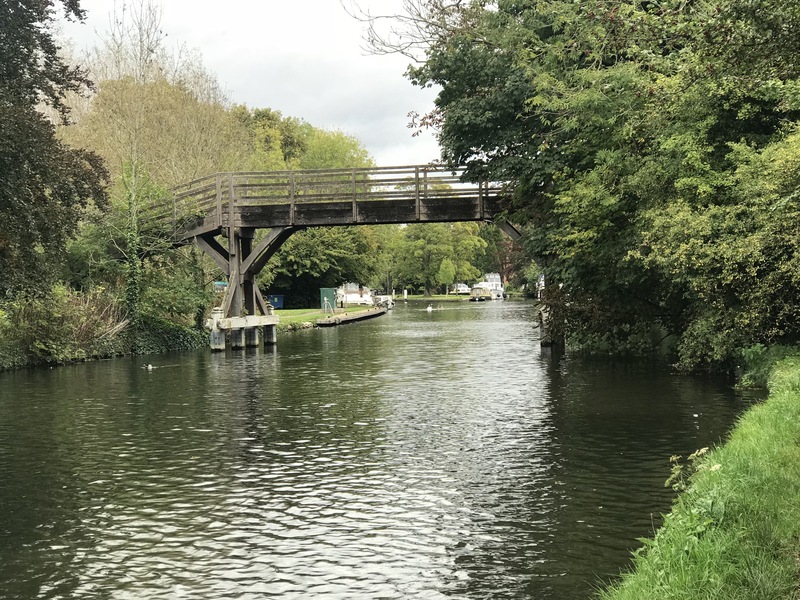 The island is on the reach above Hambleden Lock between the Buckinghamshire and Berkshire banks, and is part of Remenham in Berkshire. The main significance of the island is that it lies at the start of the course for Henley Royal Regatta. Hambleden Lock is a lock with a long weir situated on the River Thames in England. The lock is on the Berkshire bank between Aston and Remenham. 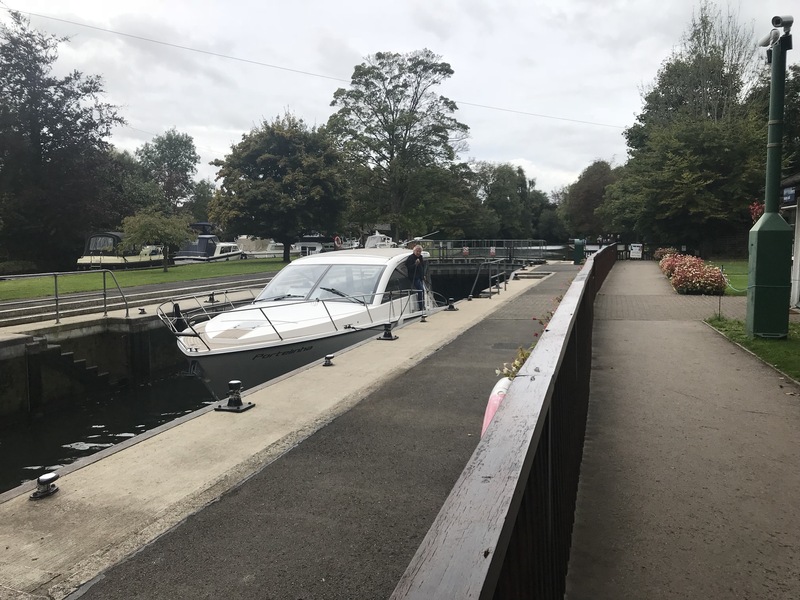 It was built by the Thames Navigation Commission in 1773, The lock is named after the village of Hambleden, a mile (1.5 km) to the north. The great weir is impressive and there are walkways over it from the lock to the small village of Mill End on the Buckinghamshire bank. Here is situated the picturesque Hambleden Mill, and the site of a Roman villa is nearby. Hambleden Mill is a historic watermill on the River Thames at Mill End, near the village of Hambleden in Buckinghamshire, England. It is next to Hambleden Lock and has now been converted into flats. It was Grade II listed in 1955. 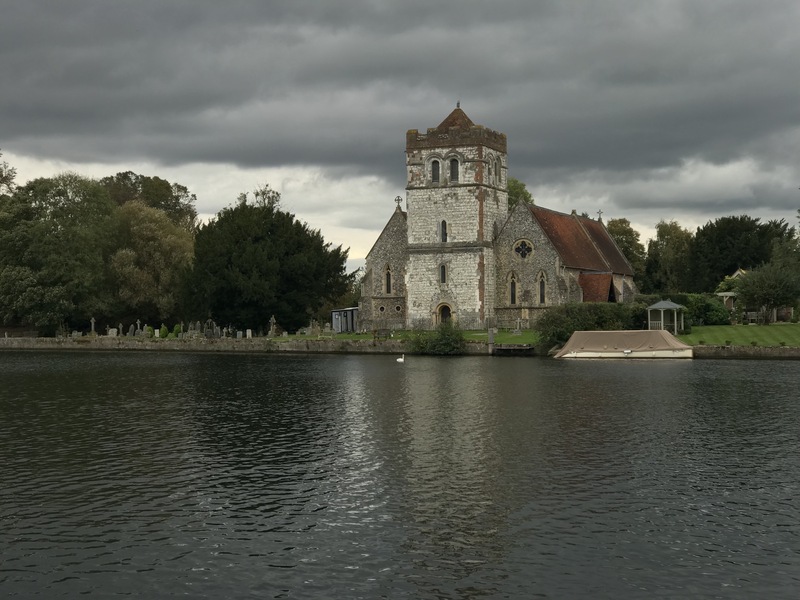 You will also visit the town of Marlow and a few other villages on route just have a look at the map I have attached to the website for easy planning. Many thanks for visiting the new Canvins WordPress site. Canvins.com is still up and running, however this site will enable me to update posts far easier. Please visit the old site, new posts will still be seen there when I link them together.